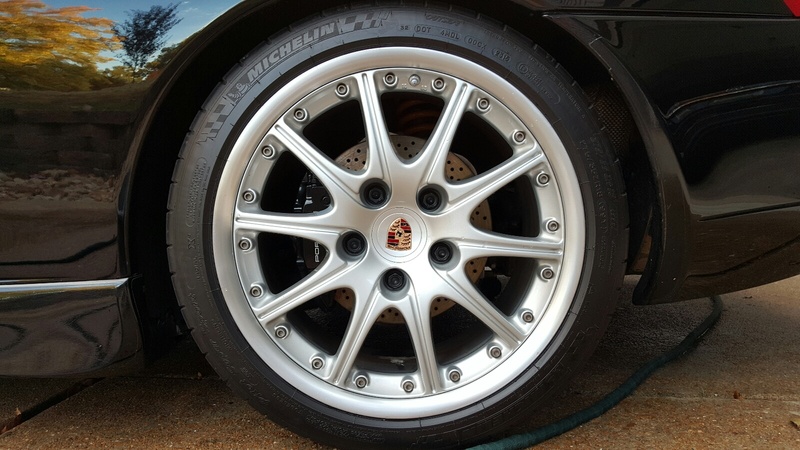 Full set of 18" Sport Design 10 spoke 986 Wheels complete with tyres (if needed) for sale. GT3 style two piece split rims. Really nice wheel. Option code XRL. Will need a refurb, but not offensive to look at. Tyres are nearly new fronts Uniroyal Rainsport and half worn Pirelli P zeros on the back. Looking for £550 for the set with tyres.